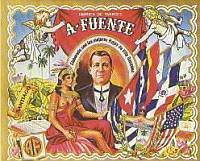 Arturo Fuente learned the art of growing and processing tobacco and the making of premium, handmade cigars in Cuba at the end of the 19th century, producing his own line in 1912. Today, his son Carlos and grandson, Carlos, Jr. oversee four factories in the Dominican Republic. Their line offers a medium to full-bodied taste. Many of the natural wrapped cigars feature Cameroon leave, with a Connecticut leaf used in the maduros.